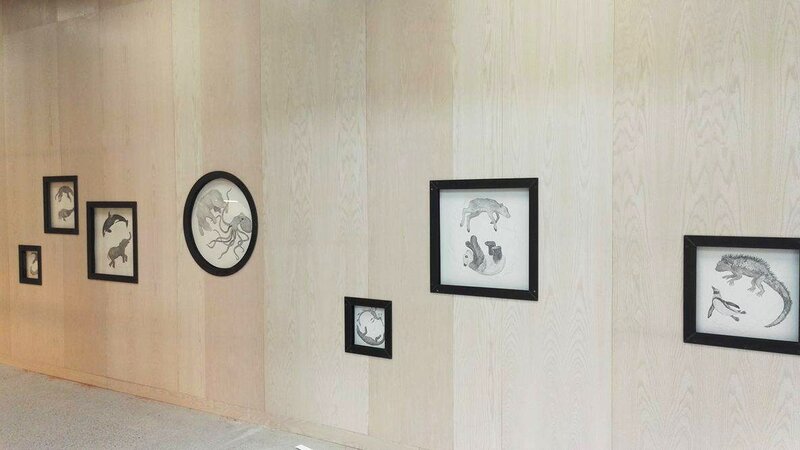 8 drawings where installed on a long wall in the large entrance hall of the school. The drawings are of to animals from different habitats, floating or flying in space, communicating in various ways. Pencil drawing on Arches watercolor paper, mounted in steel frames with non-reflective glass. 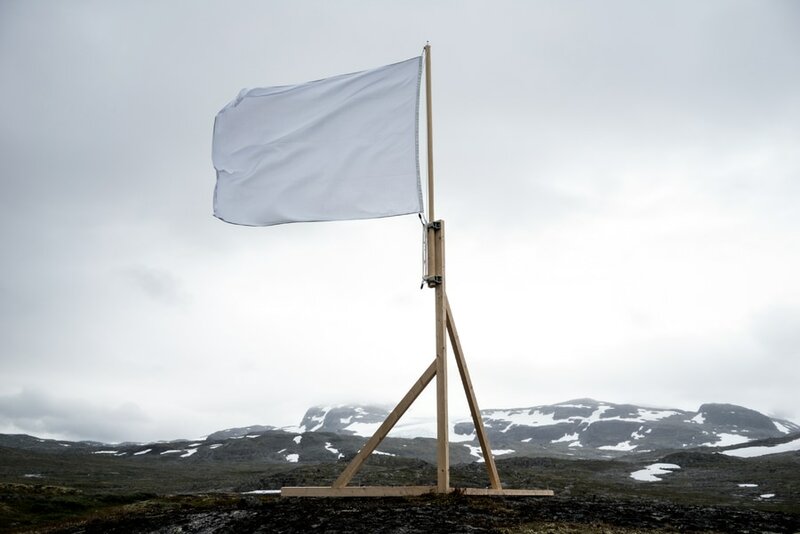 Studio Toad performance and installation at Finse during Performance Art Camp 2016. Working with land-art and performance in the public space create a juxtaposition to my more meditative drawings I make in the studio. Since 2013 I have collaborated with Don Lawrence (Architect) in creating Land art, performance and site specific public art installations and proposals under the name of Studio Toad. Thematically our work explore liminal space, time and place. We work with site specific, environmental and sculptural work and on commission. as well as the historical from about 100 years ago. This project will travel to Athens, Monte Verità, Hammerfest and Vadsø among others.